The new Einstein Medical Center Montgomery replaces an outdated facility acquired by Einstein Healthcare Network (EHN), as well as expands their services to a broader area in Philadelphia suburbs. The facility provides 146 beds including critical care, medical/surgical services as well as ancillary and diagnostic services including imaging, a perioperative suite, and new emergency department. Amenity spaces are key to the project. The mothers and infants program co-locates the labor and delivery rooms, C-section rooms, neonatal intensive care beds and well-baby nursery. A five-story atrium brings light and air into the building. In anticipation of future growth, Gilbane worked with the architect to offer opportunities for improvements that would allow for rapid space modifications. 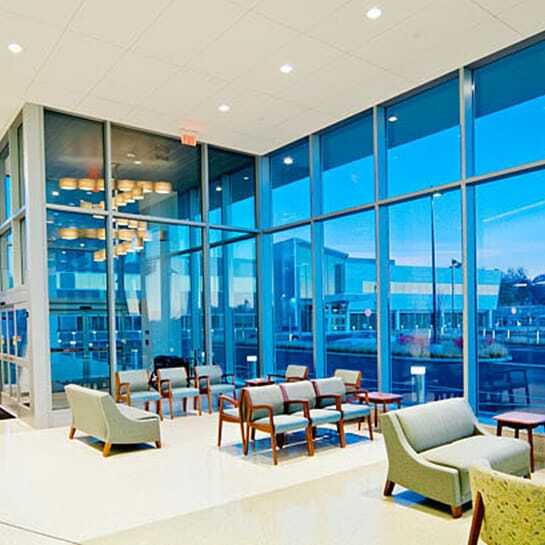 Flexible space was incorporated into the building’s design by incorporating shelled space near departments which were expected to grow, such as the emergency and imaging departments. 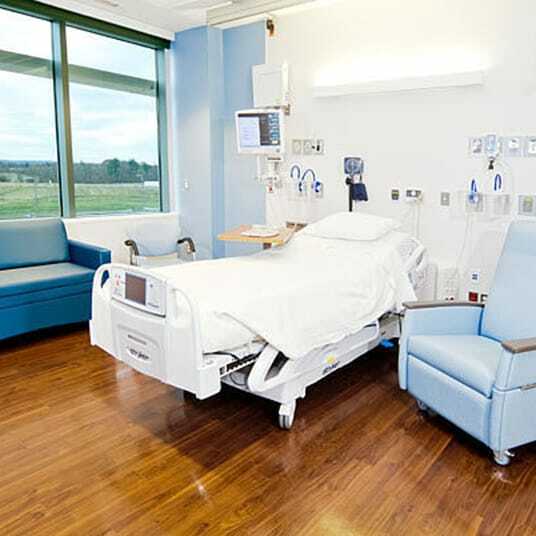 Through the use of this and other adaptability strategies, including demountable walls and modular furniture, mechanical and plumbing systems designed with an eye for conversion and forward-looking engineering, the team created spaces that can be quickly converted to a new use with minimal impact on hospital operations. Gilbane supported EHN in the project development phase, utilizing our Healthcare CostAdvisor to align capital cost and clinical program with their business plan for development. Dozens of major and minor revisions were developed through CostAdvisor to quickly “right-size” the project.